Become an Accredited NLCE Member. Thank you for your interest in the NLCE landlord scheme. To learn more about the NLCE please visit the About Us page. To join now simply complete the following form. It is a £199 Joining Fee – 5 Year membership. For further help please visit the Contact Us page. Please print the name (NOT A COMPANY NAME) you want shown on your accreditation certificate. This section asks you about your property interests, your local authority and what type of landlord you are and what type of membership you would like. You will see drop down boxes appear (where relevant) when you click on a button. Please add boxes (as needed) by ticking the + on the right hand side of a box. Do you employ any staff? Please let us know the names of the staff you employ when you are applying for accreditation. Please list your employees below, click the + sign on the right hand side of your list box to add another employee. Please provide the name of your partnership. When adding the names and addresses please fill in each box as laid out. Please click the + box on the right hand side to add a new partner. Please provide the name of your Limited company. 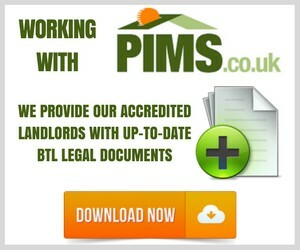 Please provide the name of your Letting agency or management company. We ask for this so we know how many properties our community represent. Please rest assured this information will remain confidential. Please enter the address information of the buy to let properties that you own or manage, as this will enable North Somerset Council to strike those properties off their proactive inspection list, due to be actioned in the specified area from April 2019. We are continually trying to update and improve the nature and quality of the NLCE service, to meet the changing needs of our members. To enable us to do this we need up to date information. Any information you give us will be used in the strictest confidence and solely for compiling statistics. Therefore, would you mind answering the following questions please? To which ethnic group do you consider yourself to belong to, under the following descriptions? Please give the other ethnic group you belong to. The day course includes tea and coffee in the morning and afternoon breaks, as well as lunch all included in the £199.00 that will accredit you for 5 years. *PLEASE NOTE* Should you cancel with less than 14 days notice of the course date the fee(s) will be non-refundable. Please let us know if you have any food allergies that may affect your day. NLCE Ltd will use the information you provide on this form to be in touch with you and to provide updates and marketing. You can change your mind at any time by clicking the unsubscribe link in the footer of any email you receive from us, or by contacting us at enquiries@nlceuk.co.uk. We will treat your information with respect. For more information about our privacy practices please visit our website. By clicking below, you agree that we may process your information in accordance with these terms. Please send a cheque for £199.00 to our registered office (along with your details and the training date that you wish to attend), to: NLCE UK, 48 Boulevard, W-s-M, North Somerset, BS23 1NF.